If you would like to attract bats, manage bats living in a building, or learn more about bats visit the BC “Got Bats” website. Sixteen of the nineteen bat species found in Canada occur in the Okanagan. Bats provide a valuable service eating flying insects. In the winter, some bat species survive in caves or hollow trees while others migrate to warmer countries. 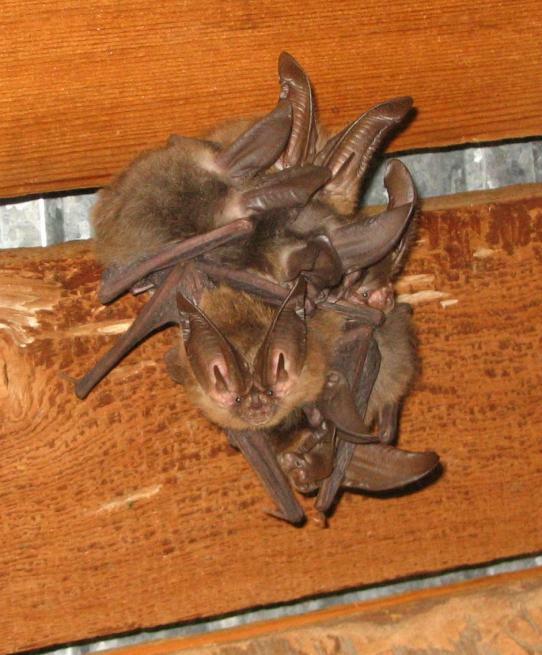 If you have unwanted bats in your attic or storage sheds, the BC “Got Bats” web site has regional coordinators that can be telephoned or emailed for advice. The program also helps homeowners manage maternal colonies (females and young bats) and encourages residents to count and report bat colonies.